Our Competition philosophy is to combine a fun approach to learning with disciplined technique in a nurturing atmosphere. We offer competition teams in a variety of levels and styles. All of our dancers compete because they love to dance and perform and competition allows them an accelerated training program and additional performance opportunities as an outlet for their creative talents. Our focus is not on trophies and awards, but on the quality of our dancers and the creativity of our coaches. As teachers, we strive to instill in our dancers a strong work ethic and a healthy competitive attitude. 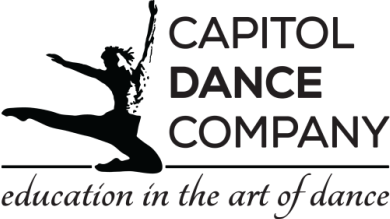 Being a member of CDC's Competition Team allows our dancers to take their studio training to the next level; that is, learning to perform for an audience while being judged on their technique and artistic expression. The experience develops self-confidence and teaches the importance of discipline, teamwork, and commitment. ​FILL OUT THE FORM BELOW FOR ANY QUESTIONS REGARDING OUR COMPETITION TEAM. Want more information about our competition team? Click the link below! Sr. Lyrical Team “Heroes”: Team awarded Broadway scholarships at Spotlight Dance Comp. & $750 cash prize at In10sity Comp. Sr. Hip Hop Team won “Hip Hop Industry” award at Masquerade Comp. For the second year, Isabella Limosnero was awarded a scholarship to the Bridge Program and took the Senior Improv. Winner title at In10sity Dance Comp!